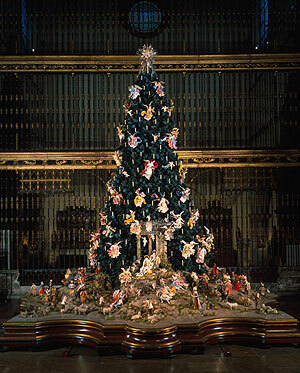 The Christmas Tree and Neapolitan Baroque Crèche at the Metropolitan Museum of Art in NYC, November 21, 2006 - January 7, 2007. In a city where people already depend on Ambien for a good night's sleep, the thought of bedbugs has wreaked havoc on circadian rhythms from homeless shelters to $2 million loft apartments. The thought of them is making people itch--not the bedbugs themselves, whose numbers don't even quite live up to the media hype. What has yet to be quantified--but what has become an urban infestation of its own--is the paranoia that the bedbug craze has produced. It turns out, perhaps no surprise in a city as neurotically obsessed as New York, that something as small as a bedbug can grow colossal in the minds of millions. NYC blogger Dawn Eden of The Dawn Patrol has just published "The Thrill of the Chaste." And Kevin Walsh, of Forgotten New York, has just published "Forgotten New York." Congratulations and continued success to Dawn and Kevin!